A beautiful pheasant we cooked for Toussaint and La Fête des Morts. 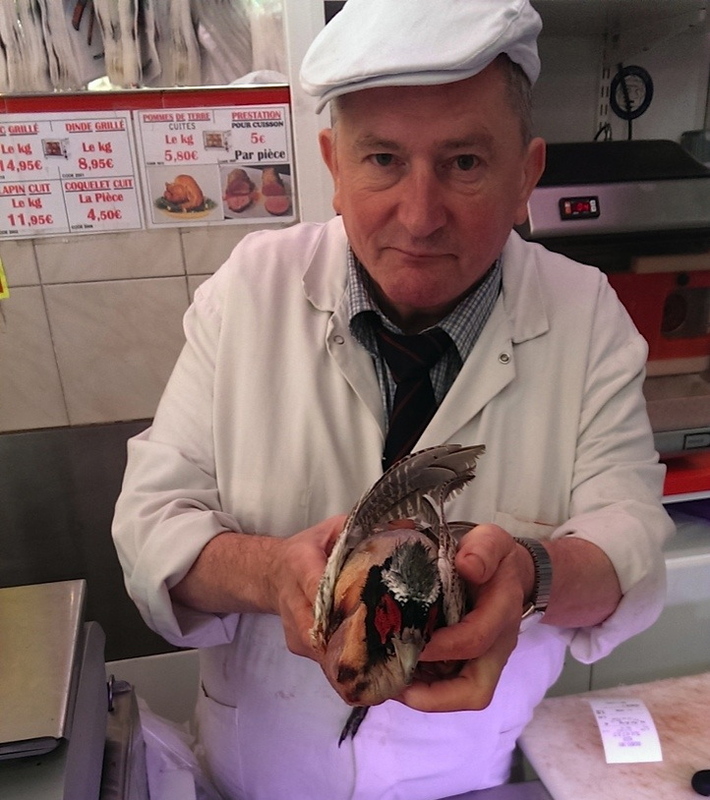 When I asked the butcher if I could take a photo before he cut off the pheasant’s head, he did his best to make the bird pretty for the photo. Le boucher appears rather dashing in this photo as well. Published: November 1, 2013 Dimensions: 722 × 814 Posted in: Joie de vivre is the keystone of the French cuisine Post a comment or leave a trackback: Trackback URL.